Cooling comfort and deep support join forces in this outstanding plush mattress. A true hybrid, this mattress features an effective half springs / half foam design that results in a flawlessly balanced feel. Starting at the very surface, this mattress is uncommonly comfortable. The lightweight ForeverFlex cover presents best-in-class stretch properties and a sleek, contemporary look. Setting the stage for nights of rejuvenating sleep, the innerspring features Apex HS Encased Coils. These durable, responsive coils are individually wrapped to eliminate disruptive motion transfer across the surface of the bed, so when your partner moves around during the night, you will not be rattled awake. A layer of OptiCool Gel Memory Foam near the surface of the mattress offers pressure-relieving comfort while efficiently dissipating excess heat. Below that, a layer of OptiPro Memory Foam provides a perfect Visco feel, while a thick layer of SuperSoft ActiveFlex foam enhances the deliciously plush feel of this mattress. Around the perimeter, the SolidEdge HD System provides full foam encasement, allowing you to utilize the entire sleep surface and sit securely on the edge of your bed. 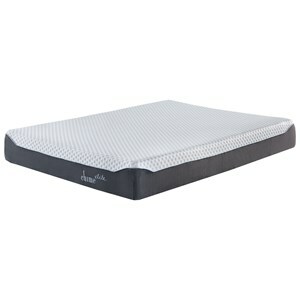 The Posturepedic Hybrid Encourage H4 King Plush Tight Top Mattress and Foundation by Sealy at Pedigo Furniture in the Livingston, Onalaska, Trinity, Coldspring, Corrigan, Huntsville, TX area. Product availability may vary. Contact us for the most current availability on this product. Coils and Support Lightweight ForeverFlex fabric features beautiful contemporary styling and best-in-class stretch properties. The result is a more enveloped, body-hugging feel that is second to none. Foundation/Box Spring StayTight Foundation features a rubberized gripper fabric that holds your mattress in place, and keeps your sheets and bed skirt right where they belong. The Posturepedic Hybrid Encourage H4 collection is a great option if you are looking for Mattresses in the Livingston, Onalaska, Trinity, Coldspring, Corrigan, Huntsville, TX area. Browse other items in the Posturepedic Hybrid Encourage H4 collection from Pedigo Furniture in the Livingston, Onalaska, Trinity, Coldspring, Corrigan, Huntsville, TX area.